Neem | Become Healthy or Extinct! Neem is anti-bacterial, anti-viral, anti-septic, anti-diabetic, anti-fungal, anthelmintic, anticancer, blood-purifying, spermicidal and an immunomodulatory agent. 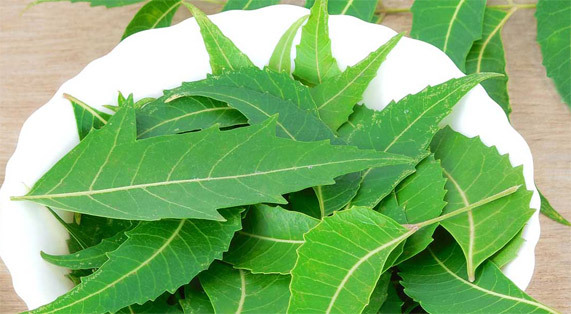 Neem leaf stimulates the immune system, improves liver funcion, detoxifies the blood, generally promotes a healthy circulative, respiratory and digestive system. It is famous as a treatment for malaria and diabetes. In the western world people mostly drink neem tea or take neem capsules to boost immune function and for the blood cleansing effect, especially people with skin problems. Both neem oil and neem leaf are wonderful skin care ingredients, because neem relieves dry skin, it soothes itchines, redness and irritation. It improves general skin health and immunity, combating bacterial infections, and in acne, boils and ulcers. But neem doesn’t promote resistance in bacteria. One of the top neem benefits is that it lets you avoid harsh chemicals and nasty insecticides when treating conditions like psoriasis, scabies, eczema, head lice and more. Used as hair oil neem promotes shiny, healthy hair, combats dryness, prevents premature graying and may even help with some form of hair loss. Neem oil also makes a great nail oil to eliminate brittle nails and rid them of nail fungus. Oral care and periodontal disease is another benifit of Neem. In India the people used the twigs off the Neem tree like toothbrushes to help protect them from cavities and other oral problems. Products being produced now are such things as toothpaste, toothpowder, mouthwash and others. The range of diseases that has been traditionally treated with neem are Aids, Cancer, Malaria, Diabetes, Hepatitis, Duodenal Ulcers, Kidney disorders, Fungal infections, yeast infections, STDs, a wide variety of skin disordes, periodontal disease, mononucleosis, blood disorders, hearth diseases, nerve disorders, allergies and much more. Would love to purchase copies of the book for class discussion. Hi Danny, The printed version of the book is available only in India as of now. It will be available globally in about 4-5 months.